I just ordered this dress from the Beyoncé collection at H&M and I need a bra to go with it! Which one out of the two shall I go for? The dress has a cut-out panel at the back in which you can see the back of a bra and I’d like one of these bras so that you can just see the matching lace, I’m not quite confident enough, or well endowed enough, to go without! I’d love to know what you think. 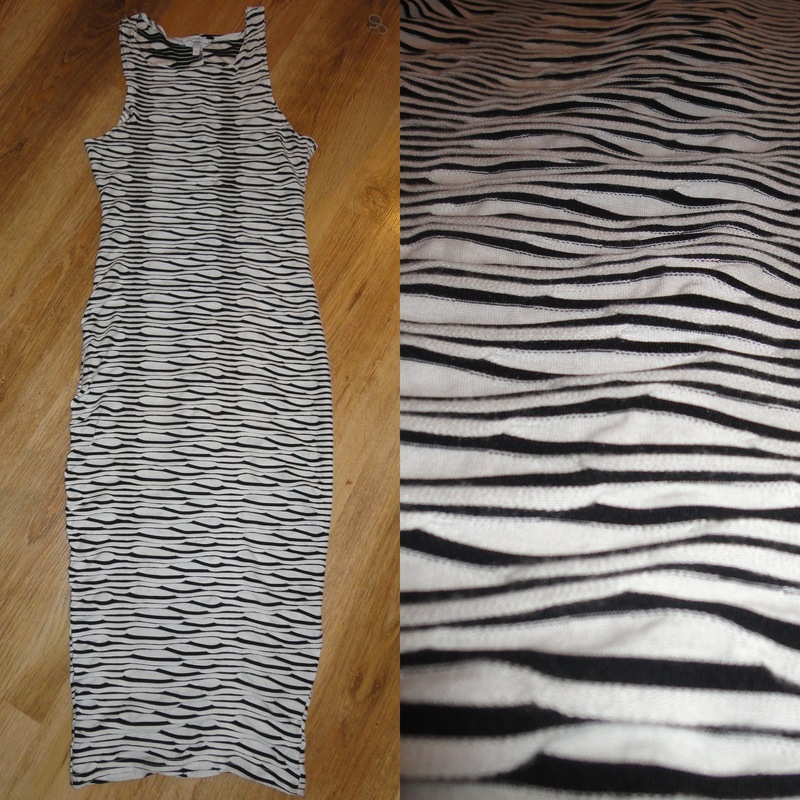 You can purchase the dress online or in store from H&M, £14.99. Top bra is £11.99 from New Look and the bottom bra is £9.99 from H&M. Both are available online. 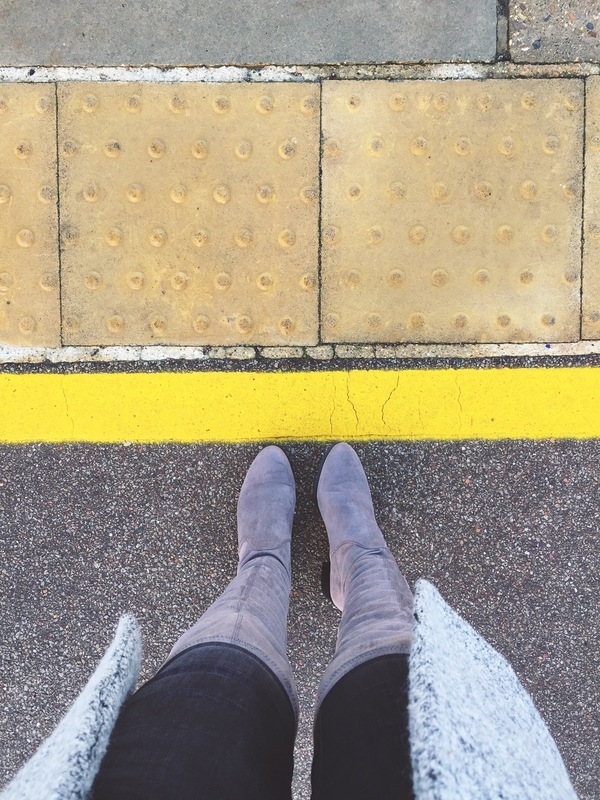 Spring is finally here in the UK (sort of) so what more excuse do I need to go shopping (on a budget…)? I’m supposed to be saving my money for university in September, but me being me, I couldn’t stop myself. Although I did refrain from spending close to £70 on a bikini in All Saints and bought on for £4 in Primark instead. How good am I? 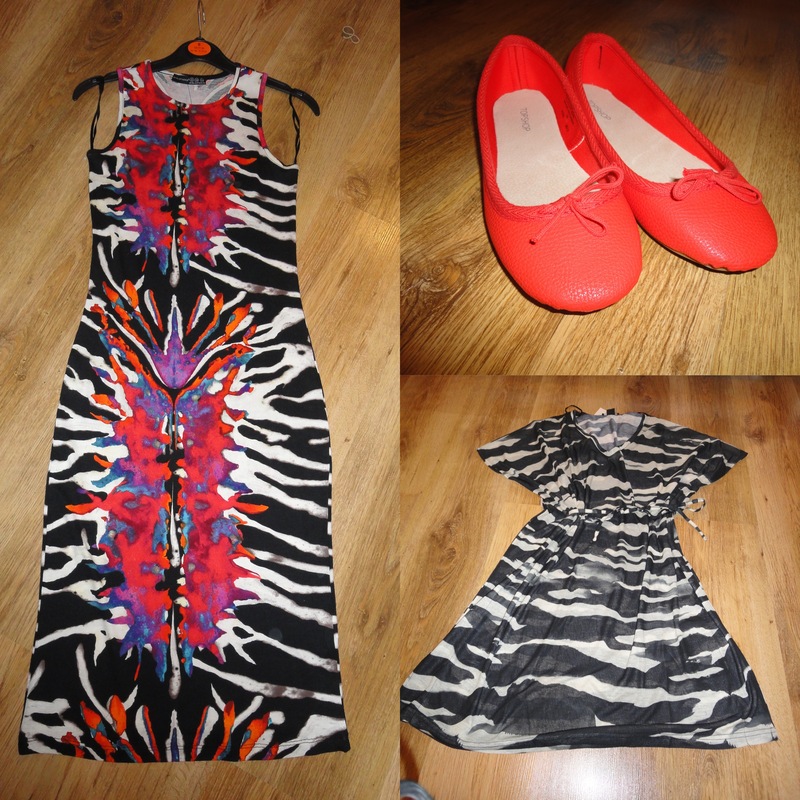 Also in Primark, I bought a bold print midi dress (£10) seen here with some orange leather ballet flats from Topshop (£16) and a zebra print kaftan from H&M (£14.99). Continuing my search for relatively inexpensive Spring buys, I headed to New look where I found this black and white midi dress, perfect for summer or winter. 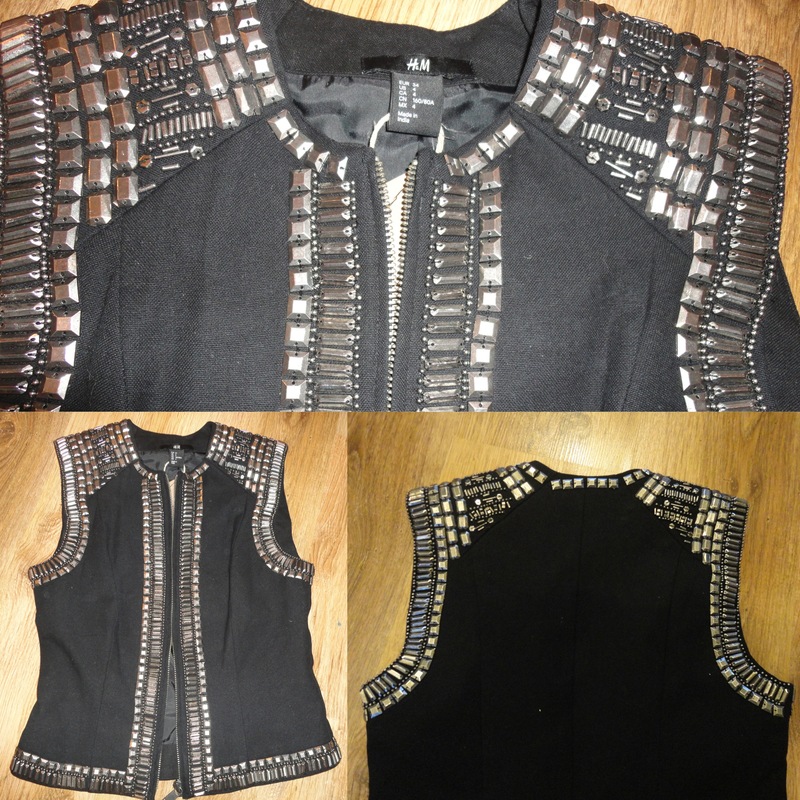 And last but certainly not least, I bought this GORGEOUS waistcoat from the limited The New Icons collection by H&M. They only had one left in stock and it was in my size so I think it was just meant to be… It fits like a glove, the intricate beadwork is so detailed it could easily be Balmain. But with a price tag of just £34.99 this is enough to tip me over the sartorial edge. i just had to have it.